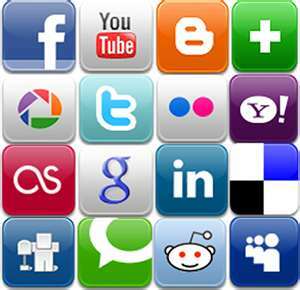 Can Social Media Harm Your Bankruptcy? Many people in Arizona and throughout the United States have grown to love social media, especially Facebook. Social Media outlets are a great way to stay in touch with family and friends. Despite that, posting your personal information on-line has also opened a window that allows others to peer into your personal life. I doubt many Bankruptcy Trustees or creditors are looking up debtors to see if they are telling the truth about their personal assets. However, it can take less than two minutes to find out a lot about a person and their assets by simply looking on-line. It is always a good idea to keep your profile “private”. This will keep people from finding out too much information about you but is far from safe. More importantly, if you are considering filing bankruptcy, be sure to disclose all of your assets and property to your bankruptcy attorney. If they know about your property then they can almost always protect it, or at least put you in the best situation to keep as much of it as possible. With the ever growing popularity of social media sites, the practice of law has adapted and changed with the growth. Facebook, Twitter, Google+, LinkedIn and other social media sites have changed the practice of law. Family Law and Divorce attorneys regularly review the opposing party’s Facebook profile for evidence of adultery or hidden assets. In some cases, prosecutors present online photos to juries as evidence of guilty behavior. It is a common practice of bill collectors to troll social media sites looking for assets and locating debtors. If you aren’t careful, these same tactics can affect the progress of your bankruptcy filing as well. Seek the assistance of your Arizona bankruptcy lawyer when going through the bankruptcy process in Arizona. A Glendale AZ bankruptcy lawyer will warn you on what posts and pictures might adversely affect your bankruptcy. Many of the ever-growing followers of social media do not guard what they post online for the world to see. Rarely do individuals at the start of a bankruptcy, (or later in the midst of one), consider that the photos and postings of their new toys (cars, TV’s) their vacation or weekend getaways, or other purchases are at risk for being brought into evidence in the bankruptcy court by a bankruptcy trustee. Recent vacations and purchases may raise concern with the bankruptcy trustee as to how debtors are spending their financial resources. Remember, creditors, bill collectors, and the bankruptcy court appointed trustee of your bankruptcy estate may be trolling social media sites looking for evidence that your situation has changed, or that you were not entirely forthcoming in the listing of your income, assets, and job positions on your bankruptcy petition and paperwork. Don’t be so naive to think that that limiting access to your profile to “friends only” will help. Facebook and other social media information can easily be subpoenaed – do not assume any right to privacy for your online materials. Is it really necessary to tell everyone about what is going on in your world? Do you really need to show off and seek out the approval of others? If so, be prepared to have your not-so-private personal information used against you. This entry was posted in Arizona and tagged Bankruptcy Arizona, Bankruptcy AZ, File Bankruptcy Arizona, file bankruptcy AZ, Glendale AZ bankruptcy attorney, Glendale AZ bankruptcy attorneys, Glendale AZ bankruptcy law firm, Glendale AZ bankruptcy lawyer, Glendale AZ bankruptcy lawyers, Glendale AZ chapter 13 attorney, Glendale AZ chapter 13 lawyer, Glendale AZ chapter 7 attorney, Glendale AZ chapter 7 lawyer, Glendale bankruptcy attorney, Glendale bankruptcy attorneys, Glendale bankruptcy law firm, Glendale bankruptcy lawyer, Glendale bankruptcy lawyers, Glendale chapter 13 attorney, Glendale chapter 13 lawyer, Glendale chapter 7 attorney, Glendale chapter 7 lawyer on July 30, 2012 by Joshua. An additional aspect of the bankruptcy filing process that you may not be informed about is the bankruptcy court filings and requirements. We have heard quite a few horror stories concerning people who have registered bankruptcy on their own and have resulted in a much bigger wreck as the filings are incorrect. The most sensible thing you could do is to consult a Glendale bankruptcy lawyer to assist you throughout the bankruptcy process. Many individuals which have tried to submit their own bankruptcy typically end up using a bankruptcy law firm to get their bankruptcy registered both timely and properly. One of the first items that your bankruptcy legal professional will determine is if you’re presently eligible for bankruptcy. There are new requirements when declaring bankruptcy like the necessity to have consumer credit counseling by an authorized consumer credit counseling class within the past eighteen months. Lots of people get the forms and mean to get it done, and the paperwork just sits on the desk gathering dust. All it will take is having that one question which you have no clue how you can reply, and your attempt for declaring bankruptcy yourself fades away. Don’t take risks with your finance future. Speak to a Glendale AZ bankruptcy attorney who’ll schedule a time to talk about your case with you. This entry was posted in Arizona and tagged Bankruptcy Arizona, Bankruptcy AZ, File Bankruptcy Arizona, file bankruptcy AZ, Glendale AZ bankruptcy attorneys, Glendale AZ bankruptcy law firm, Glendale AZ bankruptcy lawyer, Glendale AZ chapter 13 attorney, Glendale AZ chapter 7 lawyer, Glendale bankruptcy attorney, Glendale bankruptcy lawyers, Glendale chapter 13 lawyer, Glendale chapter 7 attorney on June 11, 2012 by Joshua. There are many folks in the Glendale area that are at a point where they may want to soon consider filing bankruptcy as a solution to their current unenviable financial predicament. A number of of these individuals are wondering why it is important they retain a bankruptcy lawyer when declaring bankruptcy under Chapter 7 or Chapter 13 bankruptcy in Glendale. Hiring a professional Glendale bankruptcy lawyer is not required by law, nonetheless, there are compelling factors why you need to have legal support when processing Chapter 7 or Chapter 13 bankruptcy in Glendale, Arizona. Recent adjustments to federal bankruptcy rules made declaring Chapter 13 or Chapter 7 more complex. For instance, now you are required to have a “means test” when declaring bankruptcy. The Means Test has the intent to figure out if you’re entitled to a Chapter 7 bankruptcy filing. Declaring a Chapter 7 bankruptcy discharges the debt you owe. The new bankruptcy means test can be hard and puzzling, and if you fill it in inadequately, it can be determined that you do not qualify for filing a Chapter 7 bankruptcy. This part of a bankruptcy filing is indeed critical that it could be damaging. If you wish to do it yourself and complete the Means Test incorrect, you could possibly jeopardize your chance to get released from your debts through a Chapter 7 personal bankruptcy. Speak with your Glendale AZ bankruptcy law firm as it can be a comfort to get the help of an experienced bankruptcy lawyer if you are considering declaring bankruptcy and have to complete the required Means Test. Q: My estranged wife of 6 years filed for bankruptcy in June of 2011 I did not find out she had filed the chapter 7 until Sept. of 2011 when I was contacted by the trustee attorney who had requested lots of stuff I didn’t have we discussed my personal situation and that was the end of it. I always file an extention on my taxes so my 2010 taxes were filed in Oct of 2011 we file jointly she sends her w-2 I filed got the refund in nov paid my bills with it as always. in Dec of 2011 I was contacted by the attorney who demanded I turn over the 2010 tax refund I told him I had spent it on my debts. I told him he should have notified me of that in Sept. he agreed. I am now being sued by the trustee for the 2010 tax refund I knew nothing about the bankruptcy and was not told I had to turn over the refund. A: If a portion of the refund was based upon her refund then when you spent all of the refund you used a portion of her non-exempt assets to pay off your debts. Unfortunately, unless you received a substantial tax refund, the money that you would pay an attorney to represent you in this matter would probably be a substantial proportion of the money that the trustee is asking from you from the tax refund. Having said that, you should consult with an attorney to review your options. * You and I do not have an attorney-client relationship formed by our communications on this website. Advice given by me on this website is general advice based on partial information. You should not rely on any advice given without first hiring a lawyer in the area where the case is pending, and providing that lawyer with full information. Answered by Parker Evan Bornmann, Glendale AZ Bankruptcy Lawyer. Re-Posted from AVVO Legal Questions and Answers. This entry was posted in Arizona and tagged Bankruptcy Arizona, Bankruptcy AZ, File Bankruptcy Arizona, file bankruptcy AZ, Glendale AZ bankruptcy attorneys, Glendale AZ bankruptcy law firm, Glendale AZ bankruptcy lawyer, Glendale AZ chapter 13 attorney, Glendale AZ chapter 7 lawyer, Glendale bankruptcy attorney, Glendale bankruptcy lawyers, Glendale chapter 13 lawyer, Glendale chapter 7 attorney on June 8, 2012 by Joshua. What can the credit card company do ? We have been using our savings to pay credit card debts for 3 years and we can’t afford to do that anymore. I am over 65 and lost my job 3 years ago and desperately trying to get cash flow just to live. My wife is permanently disabled. I’ve tried to get a job and know my age is a problem. We also charged our Real Estate taxes last month on the same card, we just don’t have the money. We have had this credit card since 1991 and never missed a payment or been late . We don’t want to go Bankrupt. A: They do not reverse charges for defaulting on a credit card. Bankruptcy should never be a desirable or an ideal option. However, there is a difference between wants and needs. You may not want to file for bankruptcy but you may need to file for bankruptcy. If you have mounting debt and an inability to pay that debt for the foreseeable future, bankruptcy may be your only prudent option. You should consult a Debt Counselor or an experienced bankruptcy attorney to help you review your options. A good Glendale bankruptcy attorney should lay out bankruptcy AND non-bankruptcy options for you and recommend which option is right for your particular case. This entry was posted in Arizona and tagged Bankruptcy Arizona, Bankruptcy AZ, File Bankruptcy Arizona, file bankruptcy AZ, Glendale AZ bankruptcy attorneys, Glendale AZ bankruptcy law firm, Glendale AZ bankruptcy lawyer, Glendale AZ chapter 13 attorney, Glendale AZ chapter 7 lawyer, Glendale bankruptcy attorney, Glendale bankruptcy lawyers, Glendale chapter 13 lawyer, Glendale chapter 7 attorney on June 7, 2012 by Joshua. How can I stop a judgement? Q: How can I stop a judgement? A credit card company said I signed up for there service in 2005. I filed court paper work saying that I did not sign up for this card or signed documents for a card agreement. So now in 2012 they got a judgement on my wife for all of 7 years of interest and late fees. How can I stop them from garnishing her check. A: It will be very hard for you to set aside or vacate the judgment, but it is possible and will take a lot of research on your point, assuming that you are still within the time frame to file the motions and that your facts fit the proper criteria to set aside. Bankruptcy may be a legitimate option for you depending on your current finances, the amount of assets that you have and the amount of debt that you have incurred, including the debt from the judgment. You should consult an attorney to discuss your options regarding the judgment and whether it would be prudent to file for bankruptcy to alleviate the debt. I have just incured medical bills of over 100 K. I work for minimum wage and have no assets. What should I do? Q: I have just incured medical bills of over 100 K. I work for minimum wage and have no assets. What should I do? I have a genetic lung disease that could act up at anytime and I can’t afford insurance. I am afraid that if I file for bankruptcy now I could be in real trouble should I have a relapse in the near future. A: If there is a chance that you might relapse, it would probably be best to wait a little. Once you file for bankruptcy, any debt that you incur subsequent to the bankruptcy will not be dishcargeable. If the debt in your bankruptcy is discharged, you will not be able to file another Chapter 7 to discharge the new debt for another 8 years. As long as the creditors haven’t sued you they will not be able to take money from you. However, if you wait too long and a creditor sues you or is threatening a suit, you will want to consult with an experienced Glendale bankruptcy attorney to more fully discuss your options. Answered by Parker Evan Bornmann, Glendale AZ Bankruptcy Attorney. Can a promisary note still hold up in court? Q: Can a promisary note still hold up in court? I’m in the middle of a nasty divorce, my soon to be ex is now filing bankruptcy. He still owes my parents 30,000 on a promisary note. My dad had in case of divorce, foreclosure and bankruptcy that they were to be paid. What happens now? A: The clause in the promissory note stating that an unsecured debt is not subject to bankruptcy laws is unenforceable. Unfortunately, if your soon to be ex-husband files for Chapter 7 bankruptcy and he has no non-exempt assets for the court to distribute, the debt that he owes your parents will most likely be discharged in bankruptcy. Often times in cases involving debts to family members, the party filing for bankruptcy does not tell their attorney of the debt and this type of debt generally doe snot show up on credit reports. Your parents may want to consult with an attorney so that their interests are represented in the event that he has non-exempt assets to distribute. We recently had a customer come into our Glendale bankruptcy office to submit a Chapter 7 bankruptcy. Our client currently lives in a leased condominium but wants to move into a more cost-effective place to live. Our customer’s lease on his condominium extends through the end of the year and he needs to declare bankruptcy before then. The concern that the customer has is that he might not be able to receive a new lease on a place just after filing for bankruptcy. Would the Chapter 7 individual bankruptcy that he’s submitting make finding a new lease extremely hard? A good point to always consider is that the months right after a personal bankruptcy filing is a time when an individuals credit standing is the most affected. Credit scores are often at their lowest right after a Chapter 7 or Chapter 13 personal bankruptcy recording. Our Glendale AZ chapter 7 lawyer informed our client that it’s very possible that he would have a difficult time getting a landlord who will rent him an apartment soon after proclaiming bankruptcy. A better selection for our client, rather than declaring bankruptcy and then seeking to secure a new place to stay, would be for our client to sign a new lease on a different property prior to filing bankruptcy and then reject his current rental in the Chapter 7 personal bankruptcy filing. Our bankruptcy client took the recommendations of our Glendale bankruptcy law firm and he has already signed a new rental on a more cost-effective apartment to live. Our client will be rejecting his present lease contract in his Chapter 7 personal bankruptcy filing. Chapter 7 bankruptcy processing will in addition wipe away all future rent owed and penalties accrued for not fulfilling the lease’s terms. This entry was posted in Arizona and tagged Bankruptcy Arizona, Bankruptcy AZ, File Bankruptcy Arizona, file bankruptcy AZ, Glendale AZ bankruptcy attorneys, Glendale AZ bankruptcy law firm, Glendale AZ bankruptcy lawyer, Glendale AZ chapter 13 attorney, Glendale AZ chapter 7 lawyer, Glendale bankruptcy attorney, Glendale bankruptcy lawyers, Glendale chapter 13 lawyer, Glendale chapter 7 attorney on June 3, 2012 by Joshua. An expert Glendale bankruptcy law firm will go quite a distance when you are considering bankruptcy options in Glendale, Arizona. Not only will the expertise of a devoted bankruptcy lawyer help you evaluate if chapter 7 or chapter 13 bankruptcy is the right debt help choice for your financial predicament. The experience of a Glendale bankruptcy lawyer is also significant when it comes to doing your bankruptcy petition, addressing your collection companies, and representing you in the Arizona bankruptcy courtroom. Make sure you do it perfect the first time, choose a skilled bankruptcy law firm to assure that your Glendale bankruptcy filing is done in a on time and professional manner. Whatever the stage in the individual bankruptcy operation and even if you have not yet filed, you may really benefit from involving a professional Glendale bankruptcy attorney. The expertise of a bankruptcy legal professional can assist you throughout the decision-making procedure as you evaluate if filing is the right step for you because there are a number of options to bankruptcy out there. Experience counts and don’t you think its a better idea to get the expertise in your favor working for you? Arizona Bankruptcy legal requirements is a very complicated legal area with laws that often change. A lot of Glendale lawyers merely dabble in bankruptcy law without staying at the cutting edge of bankruptcy exemptions or alterations to the legislations. Make sure that you hire a knowledgeable bankruptcy law firm to submit your chapter 7 or chapter 13 bankruptcy in Glendale, Arizona. An expert bankruptcy attorney from the Bornmann Law Group, PLLC will even benefit you as their qualified lawyers and office staff will navigate the large levels of forms, petitions, and other documents that need to be completed and submitted within strict due dates. By finding a knowledgeable bankruptcy law office, it may help to be sure your essential bankruptcy forms and deadlines are not missed. A Glendale AZ bankruptcy lawyer is going to be there with you every step of the way and help you in receiving a “fresh start” through consumer bankruptcy in Glendale. This entry was posted in Arizona and tagged Bankruptcy Arizona, Bankruptcy AZ, File Bankruptcy Arizona, file bankruptcy AZ, Glendale AZ bankruptcy attorneys, Glendale AZ bankruptcy law firm, Glendale AZ bankruptcy lawyer, Glendale AZ chapter 13 attorney, Glendale AZ chapter 7 lawyer, Glendale bankruptcy attorney, Glendale bankruptcy lawyers, Glendale chapter 13 lawyer, Glendale chapter 7 attorney on May 11, 2012 by Joshua. Our Glendale bankruptcy attorneys are here that will help you learn about the procedure of declaring bankruptcy in Glendale, Arizona. In today’s economic turmoil in Glendale, Tucson, Mesa, and Phoenix, Arizona, many hardworking, truthful people, firms, and families are being overwhelmed by financial worries, garnishments, repossession, and real estate foreclosure troubles. Lots of people are losing their cars, their houses, and their life savings. These hardworking people need sound legal counsel, prompt debt settlement, and the chance at a “Fresh Start”. Our Glendale Arizona Bankruptcy Attorneys can provide the assistance which they need. Our professional Glendale Arizona bankruptcy lawyers present our customers, both big and small, with the finest quality debt relief representation and bankruptcy help. Our bankruptcy legal professionals offers the support service often only affiliated with larger bankruptcy businesses, nevertheless with the personal service, consideration and responsiveness of a smaller firm. One more quality you should try to find when searching for the top bankruptcy attorney. There will also be several quality choices while looking for the perfect bankruptcy law practice in Glendale. Find a bankruptcy practitioner who you feel safe with and who has plenty of time to provide you the one on one consideration and counsel that you deserve. Because of the current state of Glendale’s economic climate, lots of Glendale’s 442,445 individuals and Glendale’s 146,643 households have found it tough for making ends meet and may use some form of debt relief. There are a number selections when choosing who may be the perfect bankruptcy lawyer for you in Glendale, Arizona. There are also a lot of reasons you will have for seeking out the help of a Glendale AZ bankruptcy law firm. If you are looking for the top bankruptcy attorney, please call our bankruptcy attorneys and see how we can assist you through your present financial situation. We provide Cost-free personal bankruptcy consultations daily along with evening and weekend visits. Our prices are some of the most cost-effective in all of Arizona, additionally, we have payment plans for every spending plan. Call our Glendale bankruptcy attorneys today. We look forward for the chance to help you. This entry was posted in Arizona and tagged Bankruptcy Arizona, Bankruptcy AZ, File Bankruptcy Arizona, file bankruptcy AZ, Glendale AZ bankruptcy attorneys, Glendale AZ bankruptcy law firm, Glendale AZ bankruptcy lawyer, Glendale AZ chapter 13 attorney, Glendale AZ chapter 7 lawyer, Glendale bankruptcy attorney, Glendale bankruptcy lawyers, Glendale chapter 13 lawyer, Glendale chapter 7 attorney on May 1, 2012 by Joshua. Traffic ticket 28-701.02A3 going 90 in a 55 zone and it was also a construction zone.What are the fines? Any jail time? BOA credit card went to a law firm can I hire debt settling agency? Can I file bankruptcy, as an individual, and have the bankruptcy not effect my wife’s excellent credit? I am over my head with unsecured debt, have been keeping up with minimum payments through a since empty savings account.